He's one of the most talked about reality television personalities, and on Thursday Jon Gosselin was expected to bring the paparazzi to the Montgomery County Courthouse. Well, the cameras went, but Gosselin was a no-show. Call it "Jon Minus Kate Minus 8, Minus Jon." TLC, which is based in Silver Spring, filed a breach of contract lawsuit against Gosselin after he decided to pull his eight children from the hit show "Jon and Kate Plus 8." Gosselin then filed a counterclaim. A preliminary hearing on both lawsuits was scheduled for Thursday at 11 a.m.
Gosselin was expected to attend -- his attorney promised! -- and a media circus was expected to assemble. Well, the former, at least, hasn't happened, and quite frankly, we're offended the attention glutton isn't hungry for our attention. Now we have to go find out what the Salahis are up to again, and we're so sick of trying to find out what the Salahis are up to. So the hearing began without him, and why not? His lawyers didn't call any witnesses anyway. Gosselin said pulling his kids from the show was in their best interest. He and his wife Kate are in the middle of a bitter divorce. But according to People Magazine, TLC said that Jon only attempted to remove his kids after producers of the show failed to give in to his attorney’s demands to let him out of his exclusive contract. TLC wants Gosselin to stop making media appearances, saying it violates his contract with TLC, but in the reality-TV/paparazzi/cell-phone-camera age, merely showing up for a court hearing becomes a media appearance. Maybe his absence was just a way to comply with TLC's wishes. The network said Gosselin violated his exclusivity agreement by talking about the show and the family to other media and entertainment outlets. 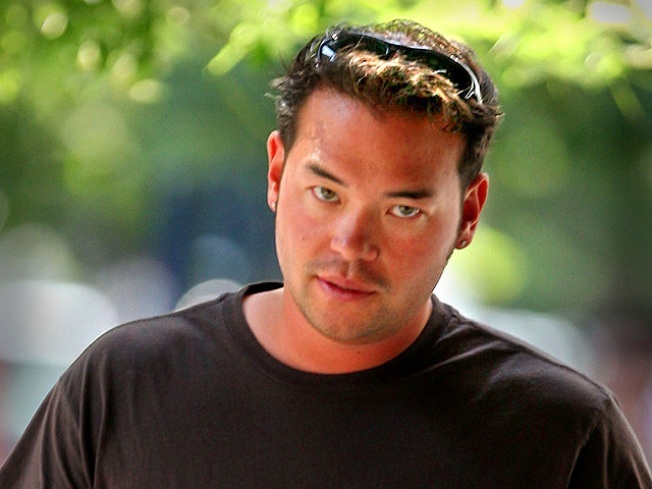 Gosselin argues that the show has made him unemployable outside the entertainment industry. Sure, blame the cameras. Judge Michael D. Mason will ruled Thursday night to muzzle Gosselin after hearing testimony about his escapades with bikini-clad women and other contract violations. TLC Chief Operating Officer Edward Sabin testified in particular about a pool party Gosselin hosted at the MGM Grand in Las Vegas. 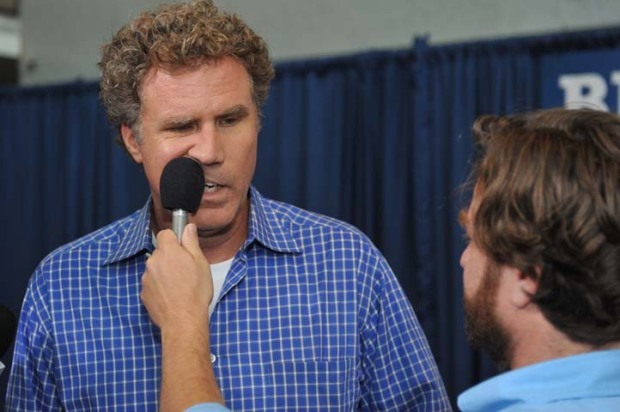 Photos from event didn't jibe with the wholesome image of the show, Sabin said. Mason granted a preliminary injunction to stop Gosselin's media appearances pending the trial scheduled to begin April 19, which Gosselin better show up for if he wants us to continue complaining about him. Meanwhile, Kate Gosselin recently told Barbara Walters that her eight children actually miss having TLC camera crews follow them, to the point the kids were all “sobbing” at the loss of their former pals. We're all crying, Kate. We're all crying. If you do see Jon Gosselin in MoCo at some point, you probably won't see gal pal Hailey Glassman by his side. She's got problems of her own with the famous dad. She said she was heartbroken to learn what many had suspected for some time: Jon Gosselin had cheated on her. "He became a monster," she told RadarOnline.com. "He's a master manipulator and a compulsive liar." Glassman, 22, said she learned the gut-wrenching truth about her eight-month relationship to the former "Jon & Kate Plus 8" star during a deposition on Monday when the details of Jon's relationship with tabloid reporter Kate Major were revealed. "I was told under oath that Jon really did sleep with Kate Major," Glassman said. "I'm mind-boggled and hurt by it. And he still lies to me about it and denies it to this day." Too bad. It might give him something to talk about that TLC doesn't already own.